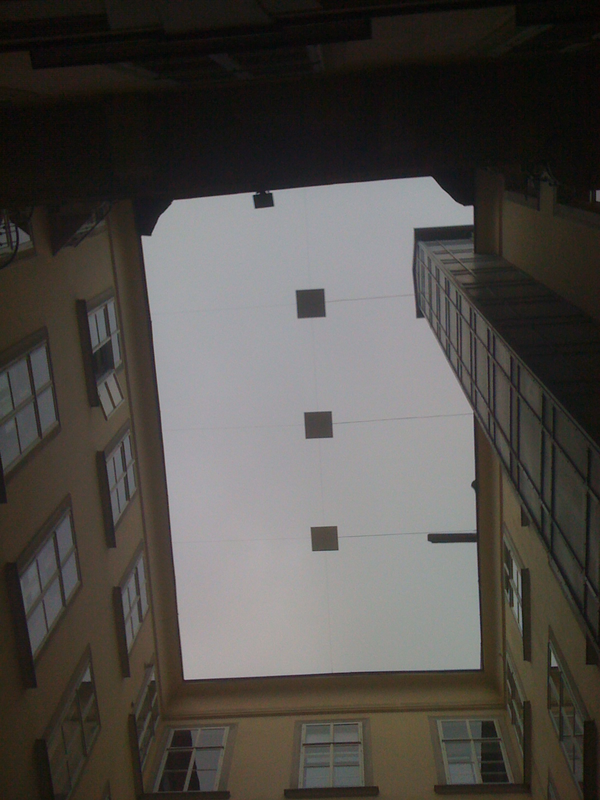 Cevdet Erek’s commissioned installation in the courtyard of the baroque Palais Erdödy-Fürstenberg in Vienna combines sound and architecture as to means of organizing space as well as of decoration. One reference for his work is Adolf Loos’s notorious essay “Ornament and Crime” (1908), in which he explored the idea that the progress of culture is associated with the deletion of ornament from everyday objects and architecture. 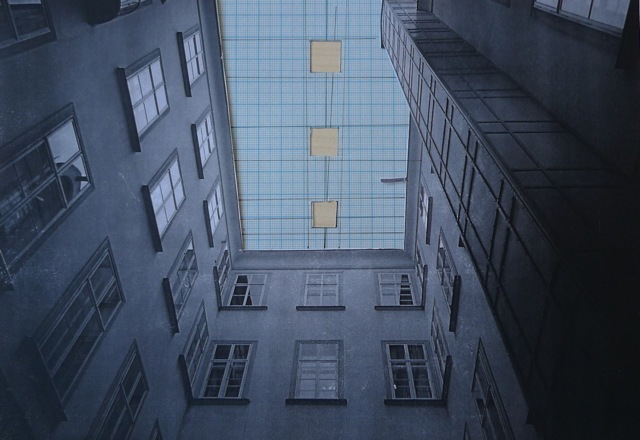 The clear grid of the net floating above the small courtyard is being combined with three white squares, which contain extremely flat loudspeakers. This material ornamentation is being punctuated by a 3-channel sound piece titled 3, which is structured by basic variations on a ¾ beat. Each of the directional speakers thus produces an immaterial soundspace of its own, which overlaps at its edges with the following one. By walking through the courtyard, the audience can experience an ever-changing, progressing space that combines visual and auditive levels of the sensible, striped bare of all referential signs. Sky ornamentation with 3 sounding dots and antipigeon net is using the presence of music and the materiality of the pigeon net to produce an aesthetic experience which can be understood as an (ironic) experiment in non-referential, non-representational beauty. 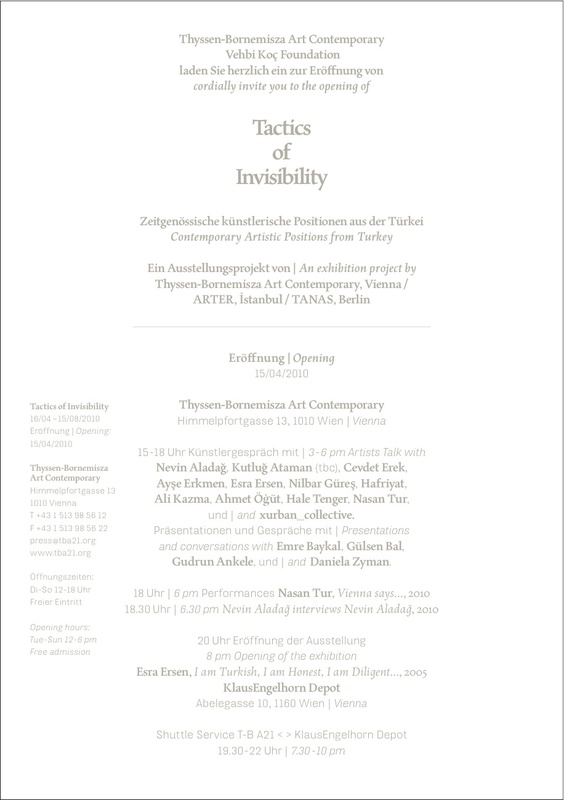 This entry was posted in 1, shows, titles, upcoming exhibitions. Bookmark the permalink.